If all you need from a movie is a few gigantic robots destroying things, especially if you didn’t get enough explosions and cheap dialogue the first two times, the final Transformers film Dark of the Moon is probably this week’s top pick. Of course, since it’s Michael Bay we’re talking about, the only things that matter are the special effects and the concept of good versus evil – nevermind characters who actually have inner conflicts, much less a sense of purpose. The plot of Transformers: Dark of the Moon is simple – it’s the same as the first two movies, except our world-saving hero, Sam, is somehow struggling to gain employment after earning his diploma. We can’t be too tough on Shea LaBeouf, especially since the kid has proven he can handle roles that don’t require running lines opposite a robot. After all, he was young Indiana Jones Junior for a brief moment, and that should at least count for something (perhaps the part of Sam would have been less bland and more appealing if a woman with serious curves played it instead). With legends like John Malkovich, Frances McDormand, Hugo Weaving and Spock (Leonard Nimoy) in this installment, you’d expect something that’s an instant ticket to the Oscars. Too bad each of these talented actors plays second fiddle to some of the dullest CGI-created bad guys in history (George Lucas would be proud). By all means, if you want to keep the kids thrilled and attempt to revisit the glory days of the original Transformers cartoon, go check out Dark of the Moon – just be prepared to experience the consequences of sitting through what seems like hours of drag before some robots try to dominate the world…again! Child-friendly? 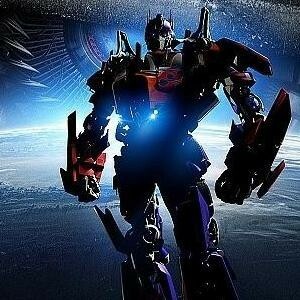 Transformers: Dark of the Moon is an action-adventure about a youth who stands in the way of a major robot invasion. If the promise of robots and destruction is enough to get your kids to spend some quality time with you, this movie will likely captivate the young ones who don’t know any better. Recommended for ages 13 and up.